I study the interaction of perception, attention, memory and action within a cognitive neuroscience framework. While most studies of perception are based on responses to an unpredictable abstract stimulus, with steady fixation, my work examines the way that perception interacts with context, action (particularly eye movements), memory, emotion and tasks constraints. Autonomous Province of Trento (PAT) 'Grandi Progetti' Grant: Characterizing and improving brain mechanisms of attention (ATTEND). European Research Council (ERC) Starting Grant: Construction of Perceptual Space-Time (CoPeST). Member of the Editorial Board, Journal of Vision (2013 - present). Member of the editor board, perception and iperception (2016 - present). I am a post-doctoral fellow in the ERC project CoPeST. My focuses are the hierarchical organisation of temporal integration windows and the effects of cognitive factors on spatiotemporal perception. I use both experimental (behavioural, eye-tracking, M/EEG) and computational methods to approach these topics. I completed my PhD at the Neuroinformatics DTC, University of Edinburgh, where I studied visual attention and emotional stimulus processing. I also worked on M/EEG pre-processing methods. I am working on the ERC project CoPeST. My current research activity is mainly focused on the role of different oscillatory neural rhythms in determining our conscious perception over time. To this aim, I use a variety of experimental techniques including psychophysics, neurophysiological measures (i.e., MEG/EEG) and non-invasive brain stimulation (transcranial electrical stimulation). I’m a cognitive scientist with an interdisciplinary background (philosophy, psychology, neuroscience) interested in attention and perception. Currently, I work as a postdoc on the ERC grant Construction of Perceptual Space Time, trying to find out how visual information is combined across saccadic eye movements leading to stable visual perception. In particular, I’m interested in investigating the role of prediction in this process. My methods encompass psychophysics and combined EEG and eye-tracking. With a background in international development work (for the Italian Foreign Office and the U.N. in Bosnia and not-for-profit organisations in Italy, the UK and Kosovo), and languages (bilingual Italian-English, fluent German and French and good Serbo-Croatian), I find it stimulating to work in CIMeC’s international environment, especially on foreign grants. I obtained my Master's in Cognitive Science at the University of Trento and my B.A. in Psychology from Cleveland State University, where I was also a research assistant at Naohide Yamamoto's Spatial Cognition and Navigation Lab. 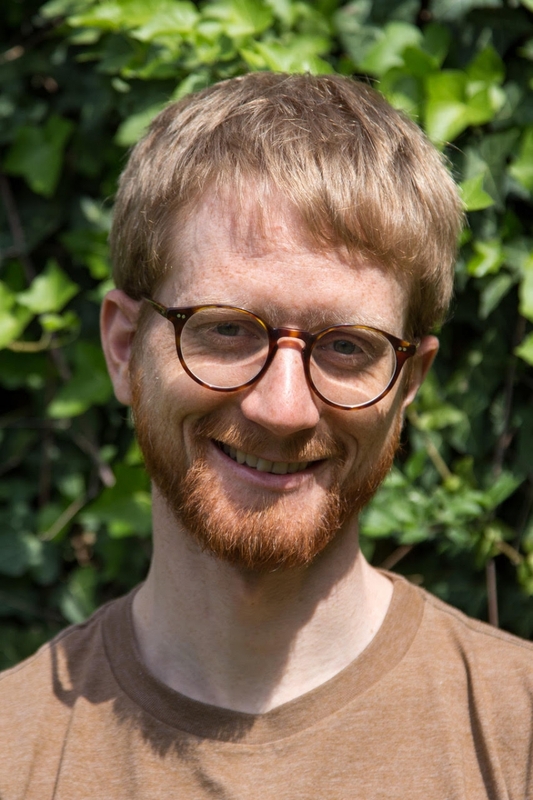 I am currently a PhD student in Prof. David Melcher's Active Perception Lab, also working on a series of experiments that investigate the construction of perceptual space-time (ERC CoPeST Project). I completed my MSc Cognitive Neuroscience at Radboud University Nijmegen, and my BA Experimental Psychology at the University of Oxford. During my Master's I also worked as an assistant for brain stimulation experiments at the Donders Institute. For my PhD I am investigating how attention and reward influence visual processing, using behavioural and electrophysiological measures (mainly MEG). My broader research interests include perceptual decision making and brain oscillations. Devpriya Kumar, visiting PhD student, in the MAP lab from February to June 2015. Rakesh Sengupta, Visiting PhD Student, in the MAP lab from March to August 2014. Maruti Mishra, Visiting PhD Student, in the MAP lab from March to July 2014. Shukla Anuj Kumar, Visiting PhD student, in the MAP lab from February to August 2013. Jan Drewes, in the MAP lab from 2013 to 2017. Now postdoc at the Technische Universität in Chemnitz (DE). Download his CV. Weina Zhu, visiting Professor at the MAP lab from 2013 to 2017. Professor at Yunnan University, Kunming, China. Download her CV. Antimo Buonocore, in the MAP lab from 2012 to 2015. Now postdoc at Tuebingen University. See his personal website. Jennifer E. Corbett, in the MAP lab from 2011 to 2014 and now assistant professor in Psychology and Neuroscience at Bilkent University, Turkey. See her personal website. Nicola De Pisapia, postdoc at CIMeC from 2011 to 2012 and subsequently in the Department of Psychology and Cognitive Science at Unitn. Currently an Assistant Professor in the Department of Psychology and Cognitive Sciences, University of Trento. Scott Fairhall, in the MAP lab from 2013 to 2015. Now assistant professor at CIMeC and PI of the ERC project CRASK. Alessio Fracasso, PhD with David Melcher from 2008 to 2011. Currently a postdoc in Serge Dumoulin's neuroimaging lab (Utrecht University) in collaboration with the neuroimaging centre '7Tesla' of the Utrecht Medical Centre (UMC), has been granted his first (tenured) academic faculty position, starting in 2018, when he will become Lecturer in Cognitive Neuroimaging at University of Glasgow, Institute of Neuroscience and Psychology. Lisandro Kaunitz, PhD with David Melcher from 2007 to 2011, then postdoc in Naotsugu Tsuchiya's lab at the School of Psychological Sciences, Monash University, Australia, subsequently a postdoc at the University of Tokyo and now working at Progress Technologies on building an artificial intelligent assistant for the visually impaired (ShikAI project). See his personal website. André Knops, in the MAP lab as a post-doc from 2009 to 2010. Currently a research group leader at the Department of Psychology, Humboldt-Universität Berlin, Germany. See André's website. 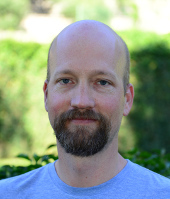 Daniel Saunders, in the MAP lab as a postdoc on the ATTEND project from 2014 to 2016. Now a data scientist at Wayfair.com. Martijn Van Koningsbruggen, in the MAP lab from 2012 to 2014. Jorien Van Paaschen, in the MAP lab from 2012 to 2013. Andreas Wutz, in the MAP lab since 2010, first as a PhD student, then as a postdoc until 2016. Now at MIT in Cambridge, MA (USA). Laura Pizzato (research assistant 2016-2017): now final year student of her second degree at the Department of Psychology & Cognitive Science/Unitn. Elio Balestrieri (master student 2016-2017): currently volunteering in the lab. Giacomo Aldegheri (masters student 2014-2017): currently a PhD candidate at Donders Institute, Nijmegen, The Netherlands. Luca Sansò (student volunteer & intern 2015-2016): now a psychologist in the Italian National Pychologists' Association. 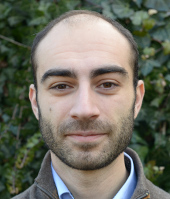 Giorgio Marinato (research assistant 2015-2016): now PhD student at CIMeC. Elena Aggius-Vella (research assistant 2014-2015): currently a doctoral student at IIT in Genova. 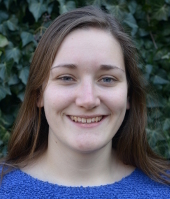 Lorilei Alley (research assistant 2014-2015): currently a doctoral student at the University of Giessen. Andrea Bertana (masters student 2013-2014): currently a doctoral student at the Donders Institute, Radboud University, Nijmegen. 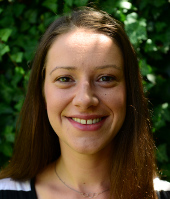 Maddalena Costanzo (research assistant 2013-2016): currently a research fellow with Prof.Miceli at CIMeC, Rovereto. Marta Forai (masters student 2010-2011): currently Solutions Manager at Manpower-Serbia. Lucilla Lanzoni (masters student, 2012-2013): currently a doctoral student at the University of York, UK. Danielle Parrot (research assistant 2015-2016): currently a doctoral student at IIT-Rovereto. Maris Skujevskis (masters student 2011-2012): currently a doctoral student at SISSA, Italy. 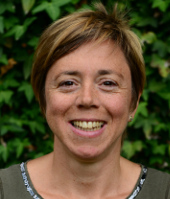 Elisa Zamboni (masters student 2011-2013): awarded PhD from Notthingham University (2017).